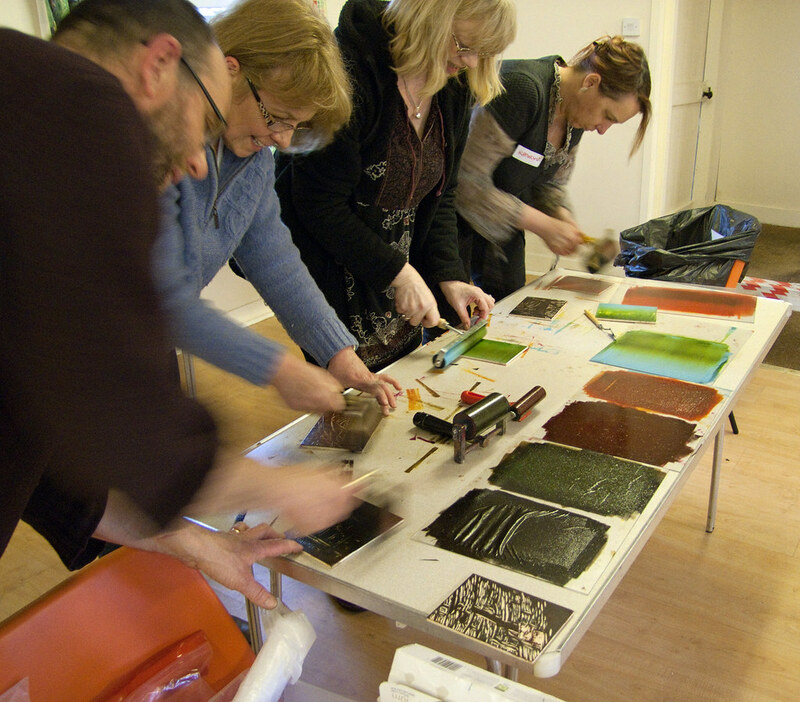 The creative art activity of the project that started with Inspiring Stones continued in Spring, 2014 with two exciting printing workshops. 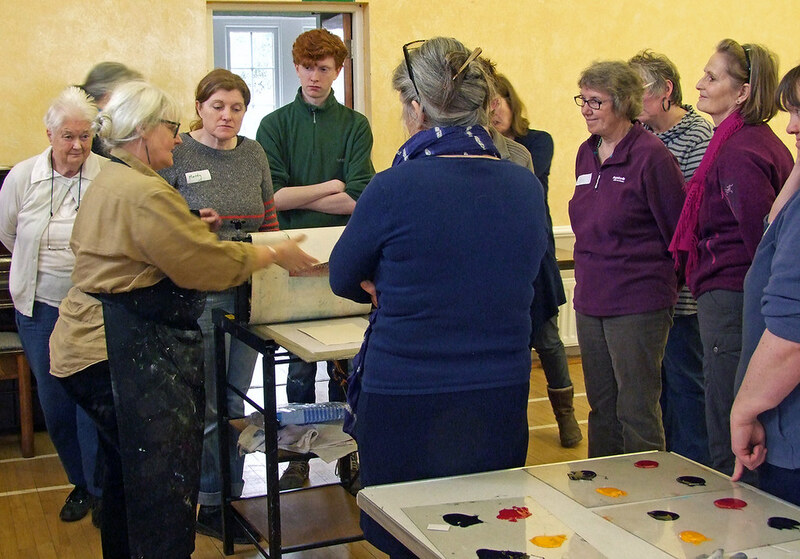 They were tutored by Jan Baxendall, an inspiring and experienced professional print artist from Northern Print. 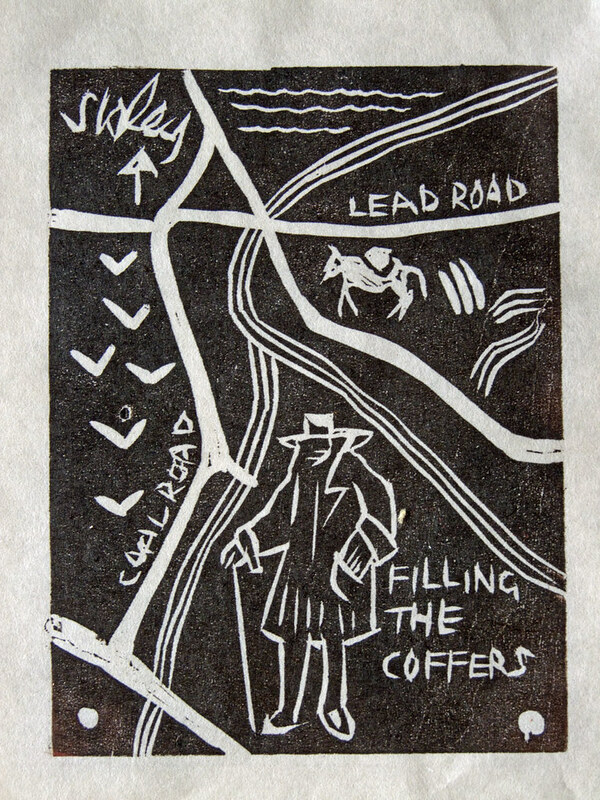 The first workshop, held in St John Lee church hall near Hexham, introduced the students to various drypoint print techniques, with the luxury of a printing press to work with. Every participant produced at least one finished print, inspired by the Dukesfield project – the Dukesfield Arches, the Lead Way between there and the riverside wharves at Blaydon, the Carriers, their ponies and carts, or more abstract ideas sparked by these images. 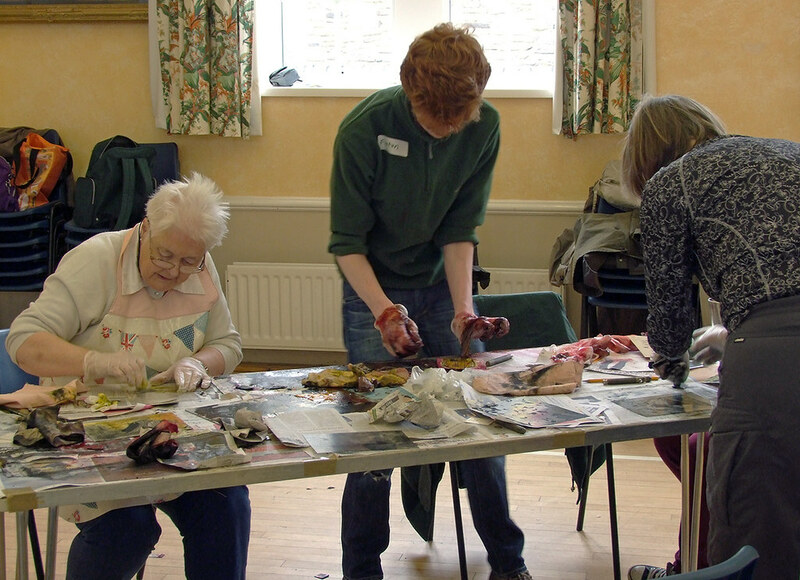 At the second workshop, participants visited Dukesfield to collect material, then returned to Slaley Commemoration Hall for a rare opportunity to try their hands at woodcut printing. Even the more experienced artists in the group were unfamiliar with this technique, and the novelty stimulated everyone to produce some exceptional work. In all, 32 volunteers took part in the workshops.